ECO-ART is a contemporary art movement that addresses local and global environmental issues. In their work, eco-artists explore a variety of ideas and intentions, which may include environmental ethics, information about ecological systems and the use of natural forms and materials in art. Some eco-art is functional, striving to reclaim, restore or remediate damaged environments. Eco-art can re-envision ecological relationships and even propose new models for sustainability. Mark Dion is an American artist whose work revolves around the ways in which dominant ideologies and institutions have shaped our understanding of and relationship to the natural world. An interest in the way science has shaped our relationship to nature is evident in much of Dion's work, particularly in his Neukom Vivarium (2006). 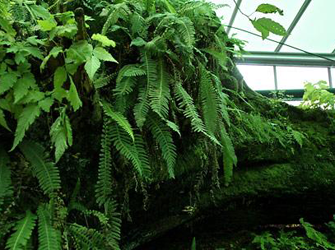 A permanent living installation in Olympia Sculpture Park, Neukom Vivarium features a nurse log in a climate controlled incubator room, which allows audiences to watch the decomposition and regeneration of the system.